Stunning 2 Story with 5 bedrooms and 5 full baths! This home has been updated throughout with quality custom finishes including: new carpet, new interior and exterior paint. Upper level has 4 bedrooms and 3 bathrooms which have all been updated with granite countertops and new tile. Spacious vaulted master bedroom opens to completely remodeled bath with granite countertops, custom tile in the shower, gorgeous vessel sinks, and jetted tub. Main level includes a study and a full bathroom with granite and custom tile. Kitchen upgrades include: refinished hardwood floors and cabinets, granite countertops, and black stainless-steel appliances. The finished basement has a wet bar, built-in wine cooler, rec area, large bedroom and full bath. The gorgeous yard backs to a greenbelt and open space with walking trails. Entertain on this new spacious deck! This beautiful, fully customized home won't last long! 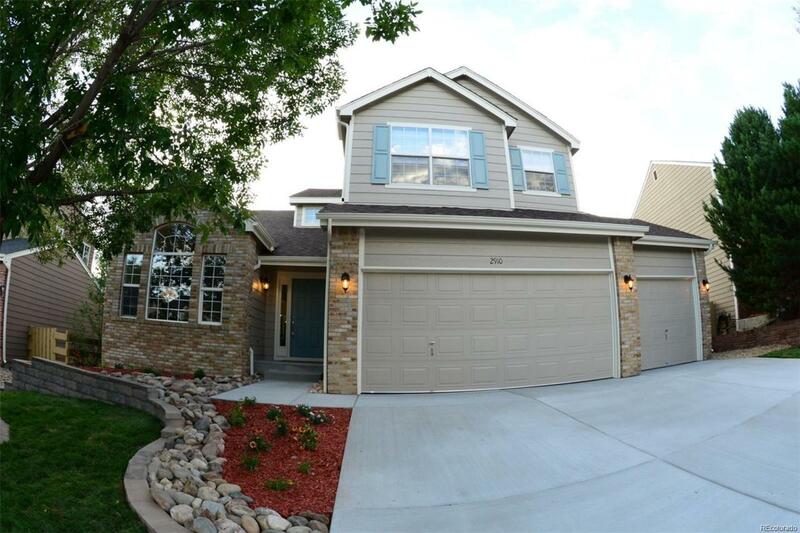 Offered by Colorado Premier Real Estate Inc.
Association Name Primary Haven Owners Association Inc.